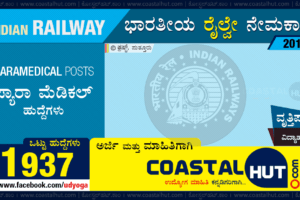 Government of Karnataka, Ramanagara District Revenue Department invites applications for recruitment of Village Accountants (VA Jobs) for filing up 85+1 Vacancies. Eligible candidates may apply for the VA Posts available in the Ramnagara Revenue Department. Must obtain Computer Certificate (MS-Office) before the last date for online application. When ramanagar va results will be announced? 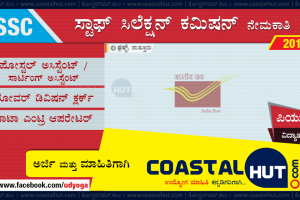 Hi coastal hut ,this is mujeer from Bangalore .I wanted to know the selection procedure for ramnagara village accountant post. And I also wanted to know I have low vision I use specs am I eligible for this post. Sir I have 62.66% in PUC science. Selection probability is less for your marks in PUC. Better not to apply for Village Accountant posts to save your money. Try some other opportunities, where you can get through competitive examinations. Sir my pu percentage was 92.83 and i hd applied for the job. Am i able to get the job. When will the selection list will be released… Kindly provided me the information regarding my questions . I hope you will replay soon for my comment. Kindly refer the official notification which is provided above for the details. For further clarifications on the said recruitment, contact the concerned recruitment authority. Sir will you please tell how do they announce roaster list? What is that means??? I’m a CBSE student with 70% can I apply??? ..And computer certificate necessary?